This box contains 35 individual peel-and-stick labels that are suitable for scrapbooking, decoupage, gift wrapping and wherever your stickering imagination takes you. 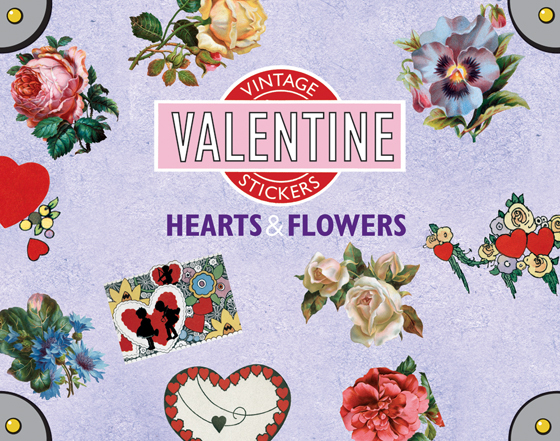 For your Valentine's Day enjoyment we are delighted to present 35 stickers featuring two of the day's icons, hearts and flowers. We carefully selected the images from our vast treasure trove of postcards, greeting cards, books, Victorian scraps and other paper ephemera. These will make a lovely addition to Valentine's cards and gifts, and many will make a useful year-round addition to any item a sticker may be used that needs a little extra love.